Location: Chanac, in the Lozere departement of France (Languedoc-Roussillon Region). Notes: Château de Chanac is an ancient castle on the town of Chanac in Lozère (France). Long held by the bishops of Mende, it was burned during the French Revolution, the fact remains that since the tower, a tower, and the remains of walls.It seems that the kingdom of Aragon has built a castle on the headland not far from the fortress of Grèzes, and to control access to the Causse de Sauveterre, while having a big enough vision of the Lot valley. This building dates back to 1194, under the reign of Berenguer IV. In 1220, William IV of Peyre, Bishop of Mende, would have used the Albigensian Crusade to take possession of Chanac. He then built the tower still visible. The bishops then serve as a summer residence for centuries. During the Hundred Years War, it is one of the few castle of Gevaudan that will never be taken by the English or by road. This will not be the case during the Wars of Religion, Catholics and Huguenots being masters turn the fortress. Mathieu Merle will have possession of 1580-1581. The clock tower, remains of the castle During the League it will be the same, Philibert Apchier, Baron d'Apcher, the hold in 1591 before he returned to the royalists. On 24 August 1696 a great fire destroyed the castle and the homes of Chanac. François-Placide Baudry Piencourt, then Bishop, will repair the fortress and bring him comfort. Monsignor Piencourt will also arrange the ice castle. This tower is indeed full of ice blocks from the Lot, winter, to drink cool in summer. From 1767 the bishop castle owner is Jean-Arnaud de Castellane. 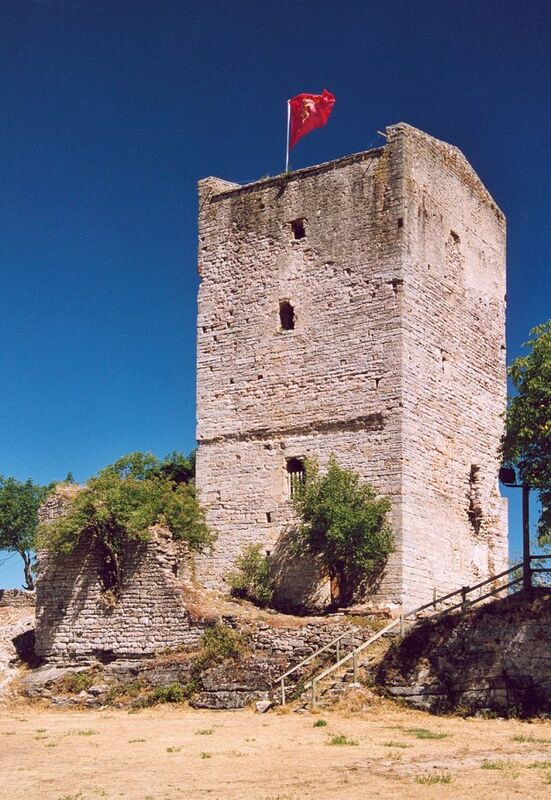 In 1790 it was in the castle of Chanac he fled to escape the Revolution. He stayed two years before attempting to flee. It will be resumed and murdered before he could leave France. At his death, the revolutionaries keep the castle. But against revolutionaries of Gevaudan, led by Marc Antoine Charrier, seized the castle on May 30, 1793. It was taken by the revolutionaries on June 2 of that year, which set fire overnight.